A Resource Guide to Food Safety - Learn about important information regarding food safety measures to practice within the home, what contaminants are prevalent, and links to food safety authorities. In this guide, you will find over 40 food safety related resources, including resources on Food-borne Illnesses, food handling safety, food safety in schools, food safety in the home and more. Advanced Meat Recovery (AMR) - News and information from the U.S. Food Safety and Inspection Service. Advanced Meat Recovery is a technology that enables processors to remove remaining muscle tissue from beef carcasses without breaking bones. Appetite for Profit - Michele Simon is a public health lawyer who has been researching and writing about the food industry and food politics since 1996. She specializes in legal strategies to counter corporate tactics that harm the public's health. Avian Influenza - More avian influenza viruses have been isolated from ducks than any other species although most free-flying birds may also be infected including shorebirds, gulls and other seabirds. Waterfowl are more resistant to avian influenza than are domestic poultry. Viruses that cause no obvious disease in waterfowl can be highly pathogenic (rapidly fatal) in domestic poultry. Among domestic poultry species, turkeys are more commonly infected than are chickens. Information provided by Carol J. Cardona, Extension Poultry Veterinarian, University of California, Davis. Avian Influenza Fact Sheet - Avian influenza is an infectious disease of birds caused by type A strains of the influenza virus. The disease, which was first identified in Italy more than 100 years ago, occurs worldwide. Provided by the World Health Organization. Also see latest Disease Outbreak News from the WHO. Behind the Brands - Assesses the social and environmental impacts of the world's largest food and beverage companies. Bovine Spongiform Encephalopathy (BSE) [U.S. Food and Drug Administration] - Mad Cow Disease is the layperson's name for Bovine Spongiform Encephalopathy (BSE), a transmissible, slowly progressive, degenerative, fatal disease affecting the central nervous system of adult cattle. Bovine Spongiform Encephalopathy (BSE) [World Health Organization] - Transmissible spongiform encephalopathies (TSEs) are a family of diseases of humans and animals characterized by spongy degeneration of the brain with severe and fatal neurological signs and symptoms. In animals, scrapie is a common disease in sheep and goats. Mink and North American mule deer and elk can contract TSEs. Bovine spongiform encephalopathy (BSE) is also a TSE, affecting a number of species (cattle, human, cats, some types of animals in 300 settings). Bovine Spongiform Encephalopathy and Creutzfeldt-Jakob Disease [Centers for Disease Control and Prevention] - CDC monitors the trends and current incidence of CJD in the United States, while the U.S. Department of Agriculture has conducted active surveillance efforts for BSE since May 1990. California Food Policy Advocates - Dedicated to improving the health and well being of low-income Californians by increasing their access to nutritious, affordable, and safe food. Canadian Food Inspection Agency Website - Delivers all Canadian federal inspection services related to food; animal health; and plant protection. Center for Food Safety - A public interest and environmental advocacy organization which works to address the impacts of the food production system on human health, animal welfare and the environment. CFS works to achieve its goals through grassroots campaigns, public education, media outreach, and litigation. Also see Consumers Union Guide to Environmental Eco-labels where you learn about products that are eco-labeled compared to those that are conventionally farmed or produced, keep track of labels recently added, compare labels quickly with a shorthand report card and print easily to use while shopping. Center for Food Safety and Applied Nutrition (CFSAN) - FDA site working on food safety, food additives, dietary supplements, and food biotechnology issues. Center for Science in the Public Interest, The (CSPI) - A nonprofit education and advocacy organization that focuses on improving the safety and nutritional quality of our food supply and on reducing the carnage caused by alcoholic beverages. Certified Humane Raised and Handled - An inspection, certification and labeling program for meat, poultry, egg and dairy products from animals raised to humane care standards. The program is a voluntary, user-fee based service available to producers, processors and transporters of animals raised for food. The purpose of the program is to provide independent verification that the care and handling of livestock and poultry on farms enrolled in the program meet high quality humane animal care standards. Chef's Collaborative - A network of chefs, restaurateurs and other culinary professionals who promote sustainable cuisine by teaching children, supporting local farmers, educating each other and inspiring their customers to choose clean, healthy foods. Civil Eats - Promotes critical thought about sustainable agriculture and food systems as part of building economically and socially just communities. Codex Alimentarius (Latin for "food code" or "food book") - A collection of internationally recognized standards, codes of practice, guidelines and other recommendations relating to foods, food production and food safety under the aegis of consumer protection. Codex Alimentarius - Created in 1963 by FAO and WHO to develop food standards, guidelines and related texts such as codes of practice under the Joint FAO/WHO Food Standards Programme.The main purposes of this Programme are protecting health of the consumers and ensuring fair trade practices in the food trade, and promoting coordination of all food standards work undertaken by international governmental and non-governmental organizations." Community Food Projects Competitive Grants Program - These USDA grants are intended to help eligible private non-profit entities that need a one-time infusion of Federal assistance to establish and carry out multi-purpose community food projects. Community Food Security Coalition - Membership-based national coalition of over 600 organizations and individuals that focus on food and agriculture issues. Promotes community-based solutions to hunger, poor nutrition, and the globalization of the food system. Complete Patient, The - Blogging on farmer and food rights. Country of Origin Labeling (COOL) - Papers, presentations, and addtional resource links re country of origin labeling. Current Good Manufacturing Practices (CGMPs)/Compliance - FDA site covering issues involved in manufacture and processing of food and food sanitation. DOW (Destroying Our World) - Dow Chemical, the company that brought us Napalm and Agent Orange, is now in the food business and is pushing for approval of genetically engineered (GE) versions of corn and soybeans that are designed to survive repeated dousing with 2,4-D, half of the highly toxic chemical mixture Agent Orange. This campaign against Dow is a project of the Center for Food Safety. Earth Open Source - Dedicated to assuring the sustainability, security, and safety of the global food system. Eat Drink Politics - Research and advocacy concerning underhanded industry tactics that threaten public health. Eating Liberally - News, information, and resources about the politics of food. 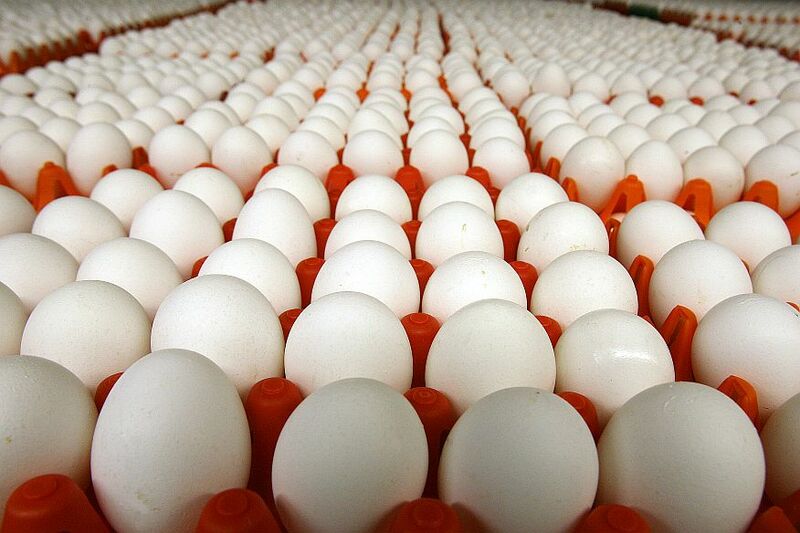 Egg Products Inspection Act (EPIA) - U.S. Code Title 21, Chapter 15. Egg Research and Consumer Information Act - U.S. Code Title 7, Chapter 60. European Food Information Council (EUFIC) - EUFIC's mission is directly related to the increasing public demand for sound, balanced information on the nutritional quality and safety of foods. European Food Safety Authority (EFSA) - Provides independent scientific advice on all matters impacting food safety. The Authority covers all stages of food production and supply, from primary production to the safety of animal feed, right through to the supply of food to consumers. It gathers information from all parts of the globe, keeping an eye on new developments in science. EWG's Shopper's Guide to Pesticides - Provides interactive tools and a downloadable shoppers guide to reduce the number of pesticides in their diets. Federal Meat Inspection Act (FMIA) - U.S. Code Title 21, Chapter 12. Final Report of the Independent Counsel In Re: Alphonso Michael (Mike) Espy - The Office of Independent Counsel's (OIC) investigation into the receipt of gifts and gratuities by former Agriculture Secretary Alphonso Michael Espy revealed a pervasive pattern of improper behavior by Secretary Espy and his top aide, and by persons and companies regulated by or with business before the United States Department of Agriculture (USDA). The investigation disclosed that, among other offenses, companies with financially important matters pending before USDA gave Secretary Espy - either directly or via members of his family or his girlfriend - numerous gifts in an effort to garner his favor. Filed 01/30/01; published 10/25/01. Fish Advisories (EPA) - Fish are a lean, low-calorie source of protein. However, some fish may contain chemicals that could pose health risks. When contaminant levels are unsafe, consumption advisories may recommend that people limit or avoid eating certain species of fish caught in certain places. Flash in the Pan - A weekly food column by Ari LeVaux. Food and Agriculture Organization (FAO) of the United Nations - The largest specialized agency in the United Nations system and the lead agency for agriculture, forestry, fisheries and rural development. An intergovernmental organization, FAO has 180 member countries plus one member organization, the European Community. Food and Drug Administration (FDA): Food - It is FDA's job to see that the food we eat is safe and wholesome, the cosmetics we use won't hurt us, the medicines and medical devices we use are safe and effective, and that radiation-emitting products such as microwave ovens won't do us harm. This site provides information for those interested in the many products FDA regulates and in the agency's responsibilities. Food and Environment Reporting Network - An independent, non-profit news organization that produces investigative reporting on food, agriculture, and environmental health. Food and Water Watch - Challenges the corporate control and abuse of our food and water resources by empowering people to take action and by transforming the public consciousness about what we eat and drink. Wants food that is sustainable and local; chemical free; humanely raised; family farmed; clearly labeled. Food Animal Concerns Trust (FACT) - Works to improve the welfare of food producing animals. Seeks to broaden opportunities for humane farmers, and address the public health problems that come from the production of meat, milk, and eggs. Food Code - The U. S. Food and Drug Administration (FDA) publishes the Food Code, a model that assists food control jurisdictions at all levels of government by providing them with a scientifically sound technical and legal basis for regulating the retail and food service segment of the industry (restaurants and grocery stores and institutions such as nursing homes). Local, state, tribal, and federal regulators use the FDA Food Code as a model to develop or update their own food safety rules and to be consistent with national food regulatory policy. Food Democracy Now! - Members believe in recreating regional food systems, supporting the growth of humane, natural and organic farms, and protecting the environment. To accompish this they organize both through online campaigns and in-person actions across the country. Food Ethics Council - Established as a result of widespread public concern over developments in the agricultural and food industries, some of which infringe widely held ethical principles. Council members are concerned that the emphasis on profit evident in much present day agribusiness often means that insufficient attention is paid to adverse effects on the health and safety of consumers, farm animal welfare, the livelihood of many farmers, preservation of the natural environment and, not least, the well-being of the less privileged in developing countries. Food Integrity Now - Believes the integrity of world's food source is in jeopardy due to laws that have been passed lowering the standards of what is considered safe for consumption, that definitions have been changed and harmful chemical additives are permitted to go unlisted as ingredients, that plants containing animal and human genes are allowed to be sold without any such labeling. Advocates truth and transparency in food labeling, informing and edcucating the public, promoting companies with integrity. Food Quality Protection Act (FQPA) - The FQPA of 1996 amended the Federal Insecticide, Fungicide, and Rodenticide Act (FIFRA) and the Federal Food Drug, and Cosmetic Act (FFDCA). These amendments fundamentally changed the way EPA regulates pesticides. The requirements included a new safety standard-reasonable certainty of no harm-that must be applied to all pesticides used on foods. This web site provides background information on FQPA's provisions and discusses some of the specific issues raised by FQPA, as well as status of implementation of this law. Food Safety - There are a multitude of possible food contaminants, including bacteria, viruses, chemicals and parasites. The symptoms of this contamination can range from mild discomfort to potentially life threatening. Learn how to handle, store, and prepare your meals. Also points to additional resources for food allergies, food safety for kids, and restaurant food safety. Food Safety and Inspection Service (FSIS) - Includes Inspection of Meat, Poultry, and Egg Products (Import/Export; National Advisory Committee); Policy Documents (Labeling, Additives, etc.) and Regulations Pages; Strategic Planning and National Partnership for Reinventing Government. Food Safety and Security - From the Food Marketing Insitute. Geared to retail food operations. Food Safety Modernization Act (FSMA) - Guidance for industry and rules related to the FDA's Food Safety Modernization Act (FSMA). Food Safety News - A daily Web-based newspaper dedicated to reporting on issues surrounding food safety provided by the Marler Clark law firm. Food Safety Research Information Office (FSRIO) - This U.S. Department of Agriculture website provides detailed information on food safety research projects, spending, and accomplishments by U.S. Federal agencies, along with links to other food safety research information. Food Safety Resources - Compiled by the USDA's Food and Nutrition Service. FoodSafety.gov - Gateway to U.S. government food safety information. Food Secure Canada - A national voice for the food security movement in Canada. Food Standards Agency (UK) - An independent food safety watchdog set up by a UK Act of Parliament to protect the public's health and consumer interests in relation to food. Food Web Site - Food safety, nutrition and preparation. Maintained by the University of Nebraska Cooperative Extension in Lancaster County. Foodsafety.gov - Gateway to U.S. government food safety information. Also see Food Recalls and Alerts. Glass or Plastic? Home Food Storage and Safety Basics - As you explore your options for home food storage, consider the benefits and risks of various materials to determine what you wish to use to keep food fresh. You may decide that glass would be an improvement over plastic storage containers. Home Food Safety - The American Dietetic Association and the ConAgra Foundation have joined in a consumer education program, Home Food Safety...It's in Your Hands to communicate information to consumers on safe ways to prepare foods. International Association for Food Protection (IAFP) - A non-profit association of food safety professionals. Members kept informed of the latest scientific, technical, and practical developments in food safety and sanitation. The Association provides members with information through two scientific journals: Dairy, Food and Environmental Sanitation and Journal of Food Protection. International Food Policy Research Institute (IFPRI) - Established to help developing countries devise appropriate food policies and the policies needed to ensure the optimum use of new agricultural technologies. Investigation Information for Outbreak of Salmonella Typhimurium Infections, 2008-2009 - CDC is collaborating with public health officials in many states and the United States Food and Drug Administration (FDA) to investigate a multistate outbreak of human infections due to Salmonella serotype Typhimurium. Journal of Food Protection - Original research reports in food science and technology. Just Food - A non-profit organization that connects communities and local farms with the resources and support they need to make fresh, locally grown food accessible to New Yorkers. Just Label It - Calling for mandatory labeling of genetically engineered foods. It has petitioned the FDA to require that genetically engineered (GE), often referred to as genetically modified or GMO, foods be labeled. Makes the argument that Americans have a basic right to know what they're eating and the right to make informed choices about what they eat. just-food - Food news, features, and research for food professionals. Local Harvest - The freshest, healthiest, most flavorful organic food is what's grown closest to you. Use this website to find farmers' markets, family farms, and other sources of sustainably grown food in your area, where you can buy produce, grass-fed meats, and many other goodies. Mad Cow Disease: Bovine Spongiform Encephalopathy, Chronic Wasting Disease - Maintained by the Organic Consumers Association. Make Our Food Safe - The Make Our Food Safe coalition includes public health and consumer advocacy organizations, as well as groups representing the families of victims of foodborne illness. The coalition pressed for enactment of historic food safety legislation that provides the U.S. Food and Drug Administration with improved authorities to oversee the safety of the nation's food supply, and will advocate for full implementation and funding of the law. Meat and Poultry Product Recalls - One-stop shopping center for U.S. Food Safety and Inspection Service (FSIS) recall information is the first place to check for new or updated information. Microwave Ovens and Food Safety - Information about how to safely cook food in a Microwave oven. Monsanto Boycott - News and information abount Monsanto, GMOs and organnics. National Prion Disease Pathology Surveillance Center - Monitoring the occurrence of prion diseases or spongiform encephalopathies in response to the epidemic of Bovine Spongiform Encephalopathy (BSE) or mad cow disease. New Alliance for Food Security and Nutrition - Feed the Future serves as the principal vehicle through which the United States contributes to the New Alliance. 'In line with the foundational principles of Feed the Future, the New Alliance supports country-driven approaches to development with input and collaboration from local organizations and leaders to ensure lasting results for smallholder farmers and their families.' The scheme, 'launched by the G8 governments along with the biggest global food and agriculture companies, has little to do with feeding undernourished people.' See Ecologist article by Miriam Ross. Ohioline, Food - From College of Food, Agricultural, and Environmental Sciences, Ohio State University: General nutrition, food preservation, food safety and storage, food science and technology, human nutrition and food management, meat science, fact sheets, and more. Oldways Preservation & Exchange Trust - Encourages healthy eating by promoting sustainable food choices and the traditional, wonderful foods of many cultures. OurFood Database - Database of food, related physiology, technology, analytical methods, bacteriology and other food topics of general interest. Poultry Products Inspection Act (PPIA) - U.S. Code Title 21, Chapter 10. Prions (.pdf, 56 pp.) - Text of the Nobel Lecture presented by Stanley B. Prusiner on 08 Dec 97. Prusiner was awarded the Nobel Prize in Physiology or Medicine for 1997 for his discovery of Prions - a new biological principle of infection. Prions exist normally as innocuous cellular proteins, however, prions possess an innate capacity to convert their structures into highly stabile conformations that ultimately result in the formation of harmful particles, the causative agents of several deadly brain diseases of the dementia type in humans and animals. Prion diseases may be inherited, laterally transmitted, or occur spontaneously. Regions within diseased brains have a characteristic porous and spongy appearance, evidence of extensive nerve cell death, and affected individuals exhibit neurological symptoms including impaired muscle control, loss of mental acuity, memory loss and insomnia. Proper Storage of Food and Goods During a Move or in Travelling - Guide to properly storing food and goods during a move or when travelling. The Welcome Table - A national association of people who care about the food they eat and the people who have touched it, and want to be part of making a better food system for all. U.S. Department of Agriculture (USDA) Food Safety and Inspection Service (FSIS) - FSIS has the responsibility for ensuring that meat, poultry, and egg products are safe, wholesome, and accurately labeled. Also see Recalls and Public Health Alerts. Center for Food Safety and Applied Nutrition - Food safety, research and news. Hazard Analysis Critical Control Point (HACCP) - A management system in which food safety is addressed through the analysis and control of biological, chemical, and physical hazards from raw material production, procurement and handling, to manufacturing, distribution and consumption of the finished product. Also see Wikipedia. Recalls, Market Withdrawals, & Safety Alerts - Recalls are actions taken by a firm to remove a product from the market. Recalls may be conducted on a firm's own initiative, by FDA request, or by FDA order. U.S. Meat Animal Research Center - Little known outside the world of big agriculture, the center has one overarching mission: helping producers of beef, pork and lamb turn a higher profit as diets shift toward poultry, fish and produce. See NYT article for more. U.S. Right to Know - Exposing what the food industry doesn't want you to know. Provides research and communications on the failures of the corporate food system. This webpage last updated on Friday, January 4, 2019 9:53 AM.